Easily attainable is the name of the game in our household. Seriously, it can get a little wild around here with two kids. But, I’ve been working hard on coming up with quick and easy recipe ideas that I can whip up in no time! Between running out the door to take Charlie to school in the morning or making sure Andy or I have something easy to put together for dinner at night, quick and easy recipes are seriously a lifesaver in our home! I had so much fun putting this glimpse of what we eat in one day together for you. These meals are so simple to achieve that you’ll definitely want to bookmark these recipes to save for later. 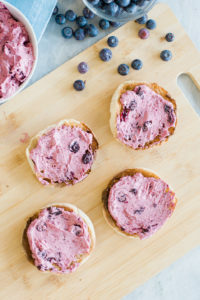 They’re hands down my favorites to keep on hand when we need a quick and easy recipe for breakfast, lunch, or dinner! Running out the door with no makeup on (and some days even in my robe) to take Charlie to school is sometimes no joke! Our mornings can be hectic, but I wouldn’t change it for the world! I love to put together a quick breakfast we can all enjoy, whether we’re eating at the table or taking it in the car. ;) But especially when I know we’re going to have a really busy day, I love to make sure I have all of the ingredients on hand for breakfast, lunch, and dinner so I always make a stop at Walmart on the way home the day before. Some days, I’ll even opt to use the Online Grocery Pickup at Walmart to make it even easier. I love being able to do one-stop shopping to whip up several simple meals for my family! 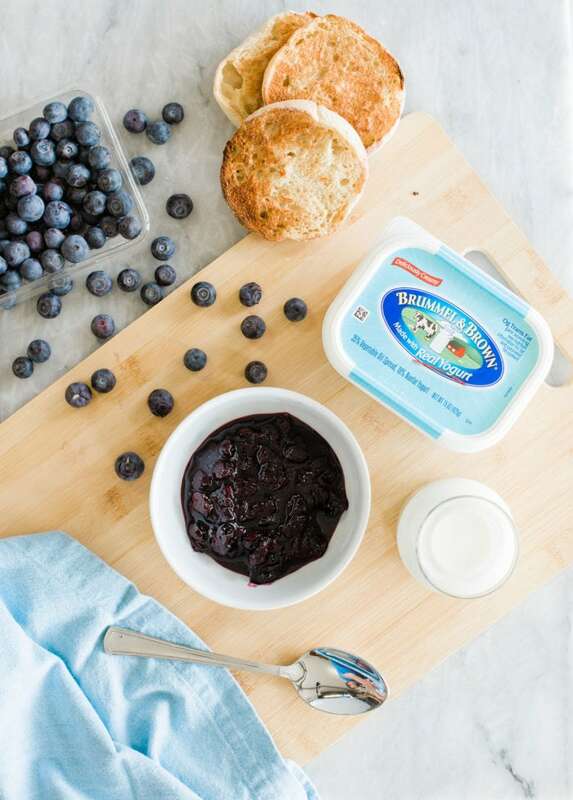 Because we all love blueberries so much, one of our favorite go-tos is a mixture of Brummel and Brown® Original Spread with a homemade blueberry sauce. 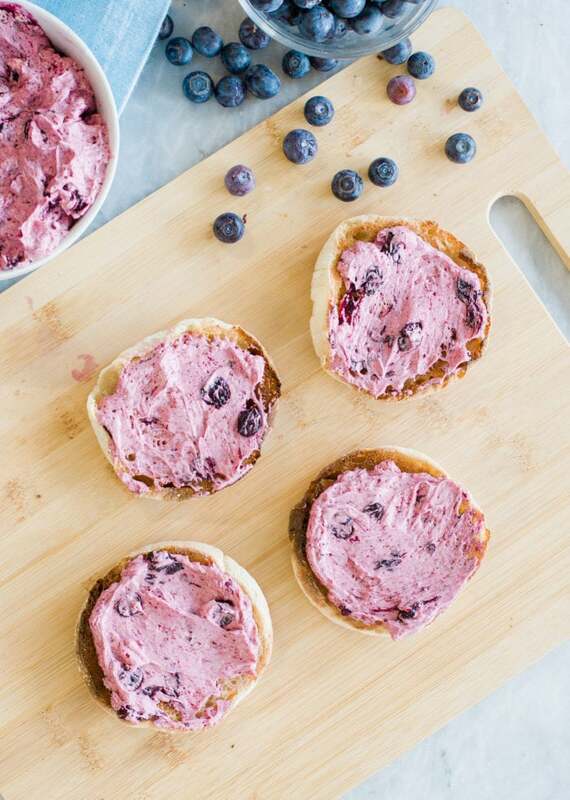 It’s seriously so easy to whip this up and provides a great better-for-you option than snagging a giant muffin on the way out the door. Start by boiling water, brown sugar, and blueberries for a few minutes, and then reduce the heat to let it simmer. 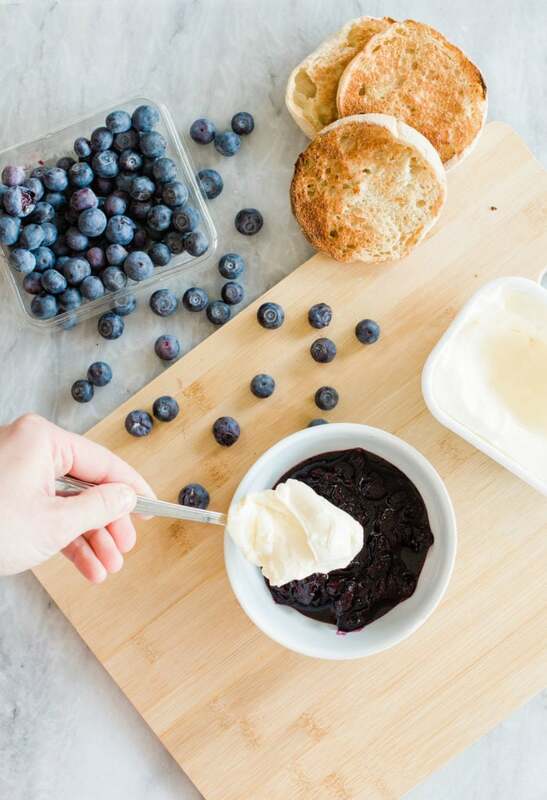 After a few minutes, the most delicious blueberry sauce will form! Once the sauce is cooled, we mix it with Brummel and Brown and spread it on English muffins. Way more buttery flavor than your average toast. So good! 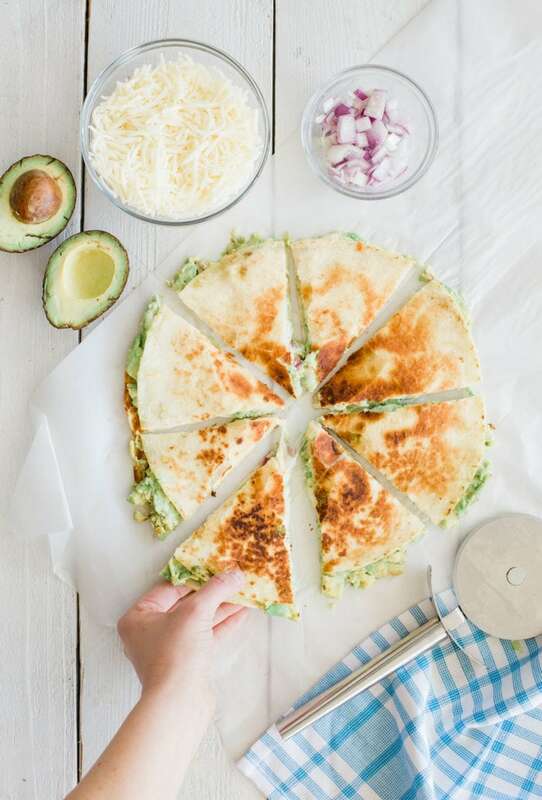 Making a quesadilla is so quick and simple! We play around with the different fillings a lot. Get started by heating a large skillet and grab two tortillas. Spread Brummel and Brown on one side of each tortilla. I love using the spread because of the extra buttery flavor it adds and how creamy it is. It gives the quesadilla the perfect outer texture! 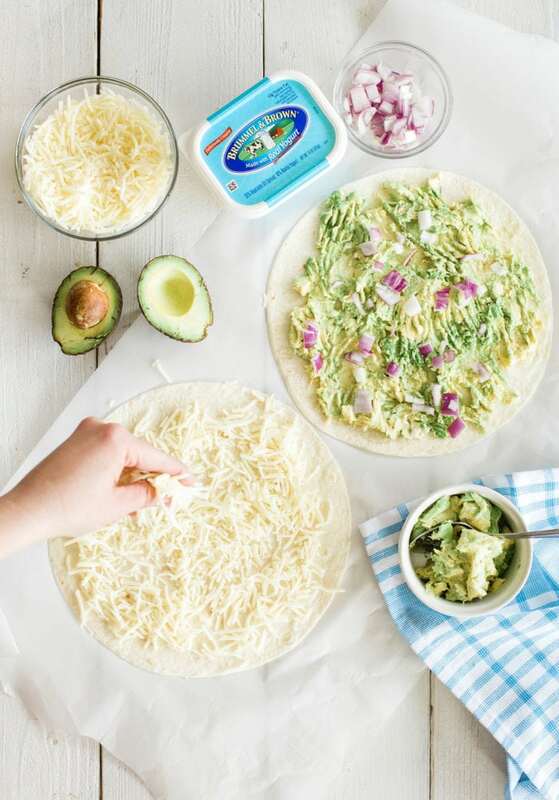 Sprinkle cheese on one of your tortillas (the side without the spread). Add mashed avocado to the other tortilla and sprinkle it with diced onions. Place the tortilla in the skillet, spread side down. Cook each side until the cheese is melted and the tortilla is crisp and golden. It only takes a matter of minutes to put this all together for a great lunch! Sweet potatoes are a big hit in our house, but we like to dress them up a bit. ;) No boring food here! 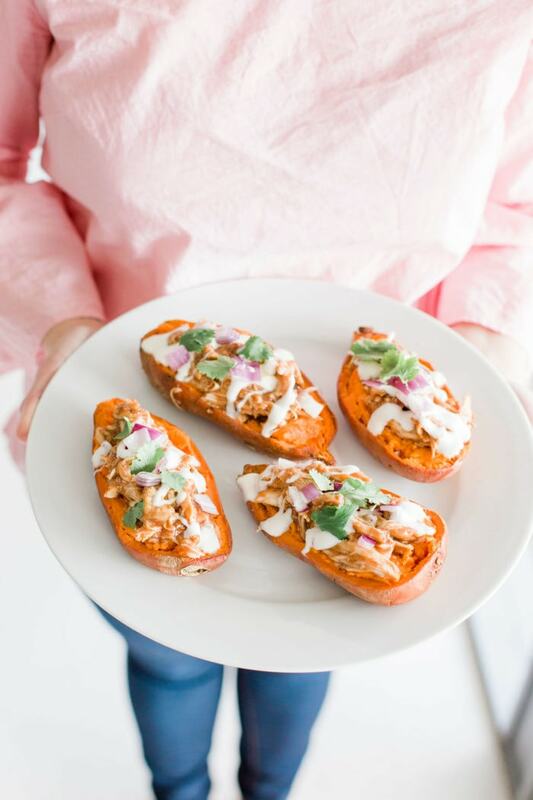 One of our favorite weeknight meals is BBQ Chicken Stuffed Sweet Potatoes, and again, these can be thrown together in no time! Plus, we’re able to get all of the ingredients we need for dinner, as well as the breakfast and lunch recipes, all in one trip to Walmart. One of my favorite semi-homemade tricks is using a rotisserie chicken from the store. One chicken can be used in so many different ways! For these stuffed potatoes, all you have to do to prep the chicken is shred both chicken breasts from a store-bought rotisserie chicken. Once shredded, mix in your favorite BBQ sauce, and then microwave the mixture for a minute or two. In less than 5 minutes you have the best shredded BBQ chicken! Sometimes putting together a quick dinner definitely means we don’t want to turn on the oven in our house. Did you know you can cook sweet potatoes in the microwave? So quick and easy! 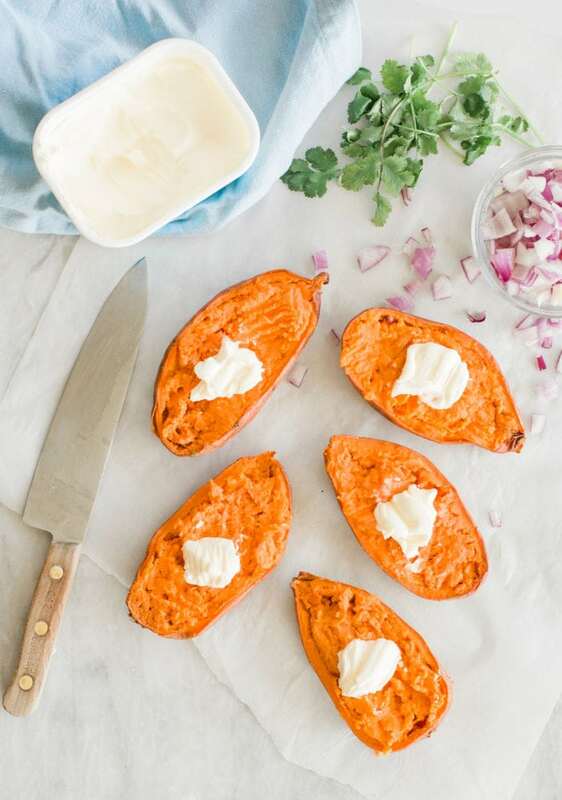 Plus, sweet potatoes are high in fiber and packed with vitamins, and, you can dress them up with the simplest ingredients! 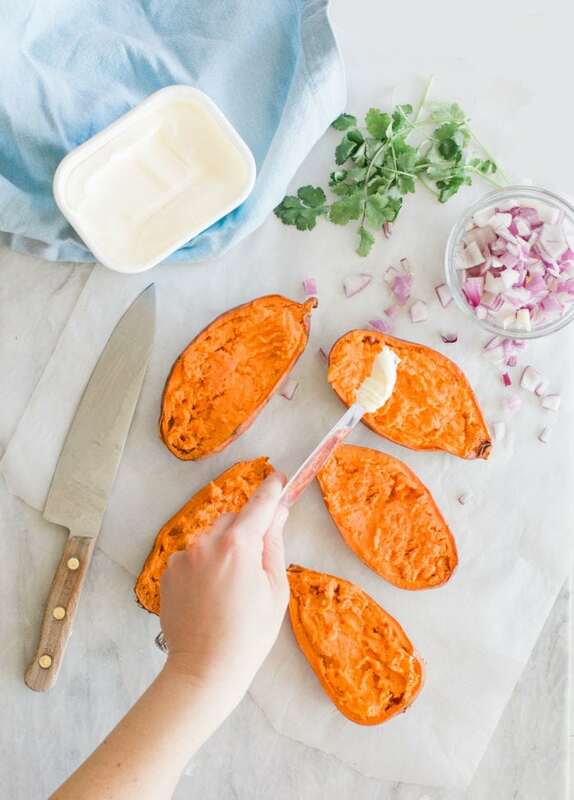 Start by poking each sweet potato with a fork a few times. Place the potatoes on a plate and microwave for 10-12 minutes until they’re cooked. Then cut each sweet potato in half and melt a dollop of Brummel and Brown Original Spread over top. This will give the potato an amazing buttery flavor with the creamy texture! 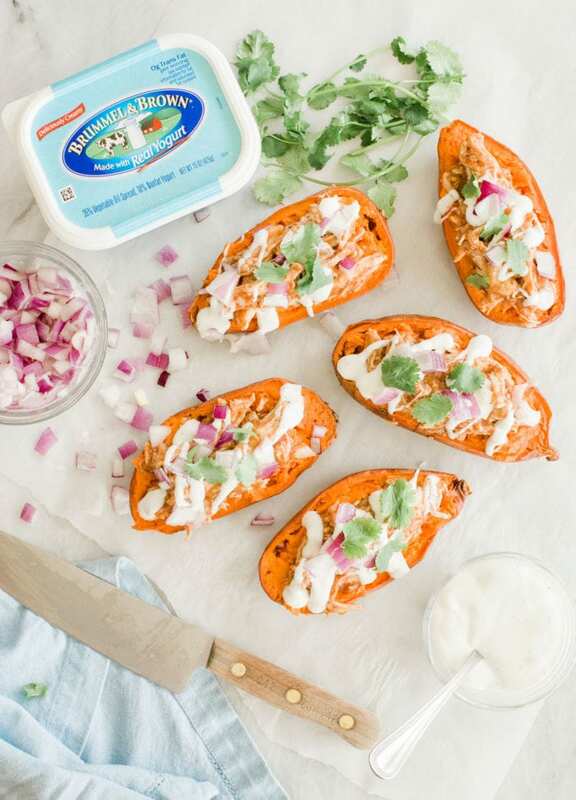 Top each potato with your easy BBQ shredded chicken, drizzle with ranch dressing, and top with diced red onion and cilantro. Especially on a night when Charlie has baseball practice, these are the ultimate lifesaver! Especially with a crazy schedule, it can be so easy to just hit the drive-thru on the way home. Being able to figure out quick options, especially for dinner, has been a lifesaver. I love being able to make a quick stop at Walmart to grab the essentials, and I hands down always have Brummel and Brown Spread from the butter/margarine aisle on my list to make simple meals even more delicious. 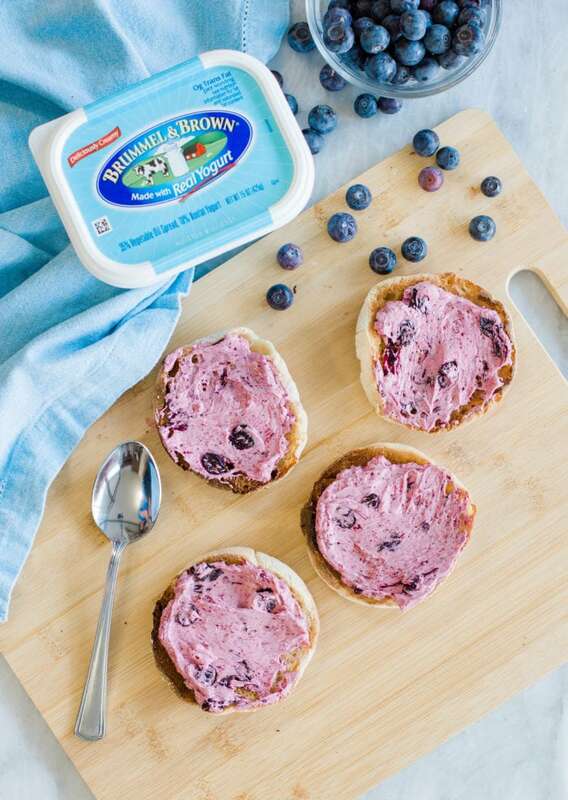 Plus, right now you can get $1 off ONE (1) Brummel and Brown® Original 15 oz. Spread via the Ibotta app! Hurry before the offer runs out! Brummel and Brown is so creamy and delicious and adds great buttery flavor in so many versatile ways. From easy breakfast recipes for breakfast on the go, quick avocado recipes or a quick and easy dinner, these recipes are sure to fill you and your family up! I’d love to hear if you make any of these recipes. Be sure to report back and tell me what you think!